Are you looking for ways to save money? For most families, the third largest monthly expense in the budget is food. Freezer cooking is a great way to cut costs, shop sales, and still feed your family filling and nutritious meals! Shopping sale items at your grocery store is a great way to save money, but when buying produce, you can only use so much before it goes bad. If you plan to make a few freezer meals out of your fresh (and on sale!) ingredients, you can make more meals at a lower cost. Meat is another great ingredient to buy when it is on sale and put into a freezer meal. Meat is often the most expensive part of any meal, so buying it on sale helps you save! Most meals last about 3 months in the freezer – so you have plenty of time to eat them! Other great items to buy while they are on sale (or with a coupon): pasta sauce, rice, beans, canned and frozen vegetables, and soup. If plan to make a bunch of meals, you can also buy in bulk- without being scared it will go to waste. Buying in bulk is always less expensive than smaller portions. Buy meat on sale & prep meals —-> huge grocery savings in the long run! MyFreezEasy offers monthly themed meal plans for “All Chicken Recipes” and “All Ground Beef Recipes” and “All Pork Recipes” sothat you can make meals for your freezer with the meat that’s on sale at your grocery store. We update these every month with new recipes. Do you ever come home from an evening of running the kids around, errands, or meetings and have no idea what to eat for dinner? Oftentimes, that leads to taking the family out to dinner – and that can really add up! Save money by having great meals at home. Drive thru —> food budget disaster. Eating at home is the best way to save on food. Having an easy dinner ready to go in your freezer saves you from eating out. Let’s face it – sometimes we forget what ingredients we have in our fridge. And then they go to waste – that is like throwing money in the trash! If you have a plan for all of your ingredients before you buy them, you are much more likely to use up everything- and save money. After you get in the habit of freezer meals, it will become second nature to freeze food before it spoils. Vegetables can be frozen and later used in soups, condiments can be used for sauces, and cheese can top lasagna. Food waste —> major guilt for the loss of food and the wasted money! Slow cooker freezer meals are a lifesaver for a busy family. You can put all of the ingredients into the slow cooker frozen- so there is no prep on the day you eat the meal. Since everything is being cooked for the first time, you don’t have to worry about family members that don’t like leftovers- the food is fresh! 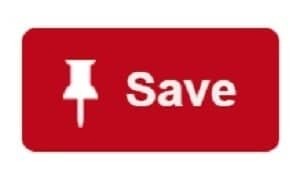 You can save so much time (and time is valuable!) when you chop, prepare, and clean up all at once. Start the slow cooker in the morning —-> Peace of mind all day! 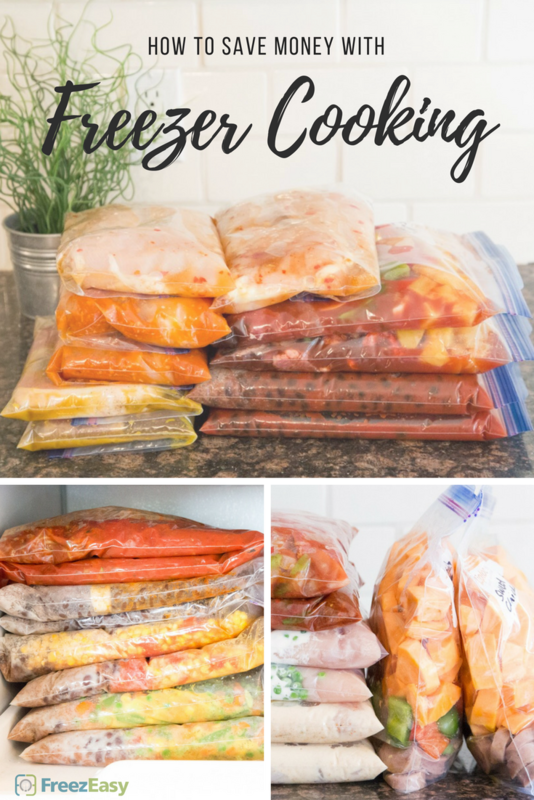 MyFreezEasy loves freezer to slow cooker meals (and freezer to Instant Pot meals) and we have specific categories for these types of recipes. We make it so easy for you to get organized with our meal plans. We deliver the recipes, shopping lists and step by step instructions. We even have instructional videos and tips/tricks for all the new recipes – updated each month! "So, I finally got round to giving this meal plan a try and I freaking loved it! I love that I have prepared meals sitting in the freezer that I can pull out (or - shock..horror, my hubby can!) and we will have good food cooking so easily. I really loved this concept and now I can let go of the "what's for dinner" stumper every night!" I love the freedom that these meals are giving me. I've always saved leftovers to freeze, but there is something different about deliberate freezer meals. Just knowing I can pull one of these out and toss it in the slow cooker before I start my day or oven when we get home is just liberating. I've looked over other plans like the Costco plan and never did them, I guess, because they seem to require a bigger time commitment that I don't ever seem to have. I like that the FreezEasy plans are recipes that I can pull together while another meal is cooking (what I did last night) or while the girls watch a movie (the chicken plan). "I made the Baked Orange Pork Chops for dinner last night and froze a couple of the other pork chop recipes after purchasing a family pack of chops that was on sale last weekend. :) I love the freedom that these meals are giving me. I've always saved leftovers to freeze, but there is something different about deliberate freezer meals. Just knowing I can pull one of these out and toss it in the slow cooker before I start my day or oven when we get home is just liberating. I've looked over other plans like the Costco plan and never did them, I guess, because they seem to require a bigger time commitment that I don't ever seem to have. I like that the FreezEasy plans are recipes that I can pull together while another meal is cooking (what I did last night) or while the girls watch a movie (the chicken plan). Thank you!" "I received the plan just before a grueling week at work with my only day off on a Monday. I needed to get some slow cooker meals in the freezer so I could have meals ready for my family. I spent about $90 for 8 freezer meals plus 3 additional meals for after my crazy work week. I managed to get all of my meals plus misc veggies and other frozen products into my fridge freezer. Now, this week the only shopping that has occurred is for school lunch supplies and coffee creamer. For a family of three in the Bay Area and without doing any real shopping for deals our total for two weeks of meals was under $125 ($90 for the 10 freezer meals, $35 for the other items.) Not bad considering we've got a picky 9 yr with a hallow leg."